Songs on break up are listened and hummed by the audience with glee and excitement. Normally it is the heroine who bears the brunt of the heros anger in words , and they are reflected in the break up songs too. This concept was reaching a point where the audience felt it was going stale .As a refreshing change a song where hero curses a friend for their break up has come up and has been received exceedingly well by the youth of Tamilnadu. 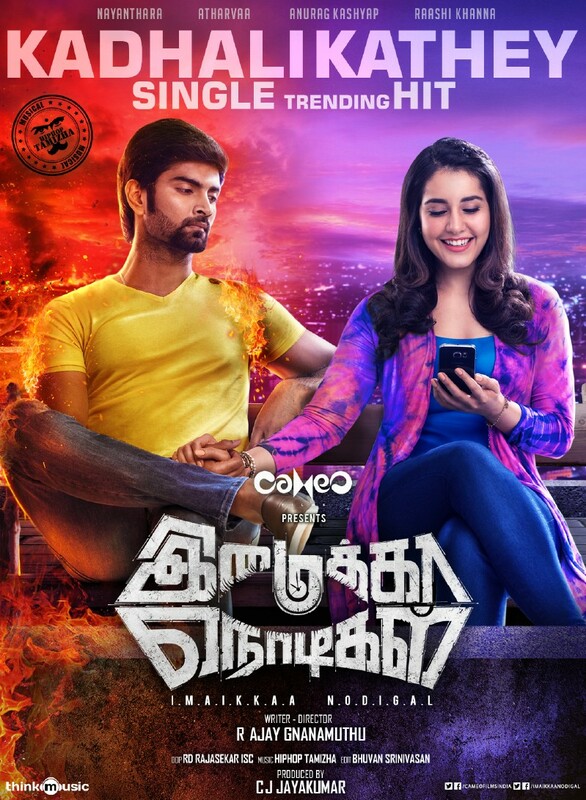 ‘Imaikka Nodigal’ starring Atharva and Nayanthara in a very important role released a single track ‘Kadhalikathey’ where the hero is heart broken and curses a friend who seem to be the reason for their break up. This new concept has worked wonders with the audience for its catchy tune and relatebility of the situation. ‘Kadhalikathey’ has spread so fast and virally that it’s becoming a chart buster. Youth sensation Hip Hop Thamizha Aadhi has composed the music for this movie and this song has turned out to be the latest addition to his hit list. 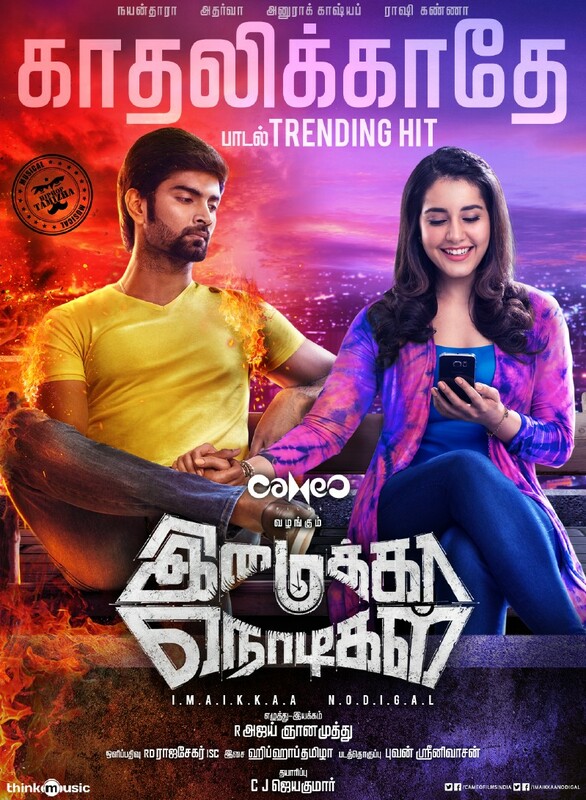 “Imaikka Nodigal’ is directed by Ajay Gnanamuthu and produced by ‘Cameo films’ C J Jayakumar. Bollywood director Anurag Kashyap plays the villain in this movie and Raashi Kanna plays Atharva’s pair in this action thriller. “What attracts the audience towards the screen are the well made teaser, trailer, and songs apart from the star cast. The concept of the song too is very important and music director Hip Hop Thamizhan Adhi was determined to bring a vast change in the concept of a song. Director Ajay Gnanamuthu was equally receptive to this and this was the birth story of the song ” Kadhalikathey” says producer C J Jayakumar of cameo films.